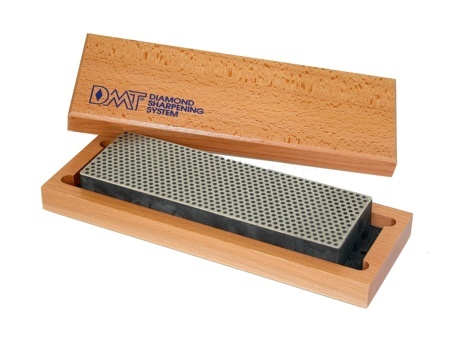 8” Diamond Whetstone™ sharpener with mounting tabs provides larger surface area to accommodate a wide range of edge needs. This model includes a beautiful hardwood case; includes non-skid rubber feet. Size: 8" x 2 5/8" x 1 1/4".